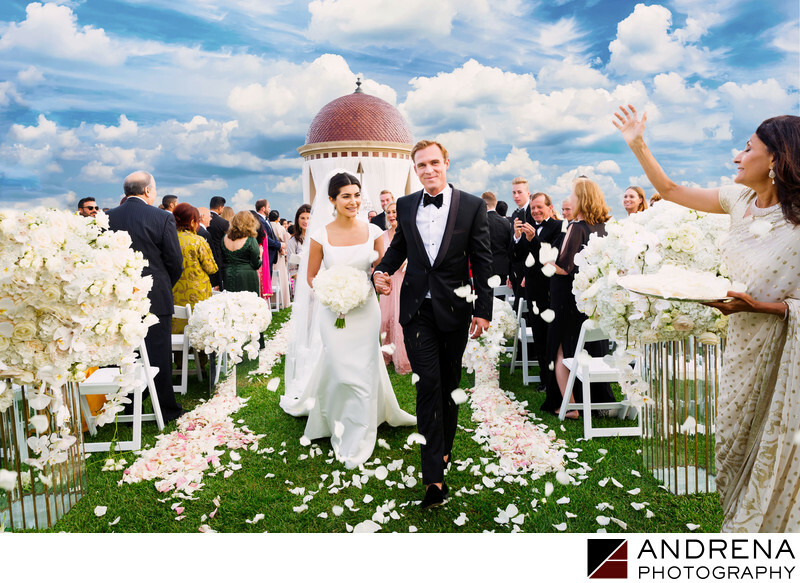 The Resort at Pelican Hill offers luscious landscapes and a beautiful ceremony area with sweeping views of the ocean, which is truly a joy for any wedding photographer to photograph. The world-famous Pelican Hill rotunda offers couples and photographers an awe-inspiring wedding ceremony backdrop that is unparalleled in Southern California. The resort also plays host to numerous corporate events throughout the year. Location: Pelican Hill Resort, Newport Coast, California. Keywords: Los Angeles Wedding Photographer (18), Pelican Hill Wedding (6), Recessional (3).